This article is 2656 days old. 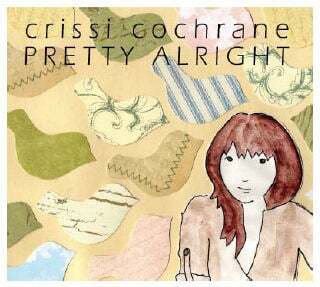 Folk/pop darling Crissi Cochrane has released her latest music video for “I Won’t Try To Break Your Heart”, the single from her new EP, Pretty Alright released November 2011. The song is currently in rotation on CBC Radio 3 and charting at campus radio across the country including CJAM, and has been garnering praise for the young singer-songwriter in her local community of Windsor, ON, and her old hometown of Halifax, NS. Shot at the Phog Lounge in Windsor (voted the best independent music venue in Canada by CBC Radio 3), the video features a bright-eyed and charming Crissi in a white dress – sewn by the artist – being painted by bar patrons.